If you look at your phone, it’s amazing how much the technology has changed over the past few years, let alone the last decade. That same progress has happened within dentistry as well, and to see evidence of this, you just have to visit Glow Family Dental. 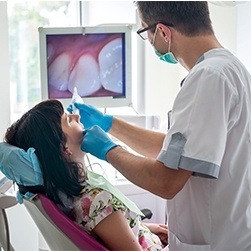 Our technology now enables us to find, diagnose, and treat dental issues faster and with more precision than ever, helping patients get what they need and back to their lives in record time. Our intraoral camera helps patients gain a much better understanding of their dental health because it allows them to see their smile from Dr. Martinez’s perspective. This small, wand-like instrument fits easily into the mouth and can capture high-resolution images of the teeth and gums we can display on a monitor right in the treatment room. These can serve as excellent visual-aids when explaining a patient’s current state of health, plus it makes it much easier for our team to show someone why they might need a certain treatment. 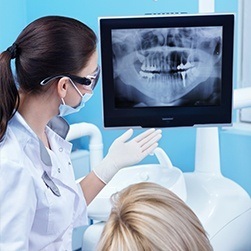 X-rays enable our team to find and diagnose dental issues at their earliest stages, many before they are even visible to the naked eye. 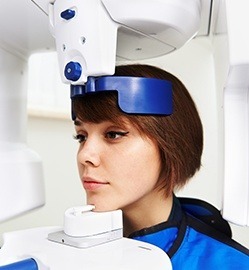 Needless to say, they are an essential tool in our practice, which is why we have upgraded to only using digital X-rays. Compared to traditional film X-rays, they take less time to create images, capture much more detail, and they even emit less radiation—about 90% less! And, because the images are digital, they can easily be displayed on a monitor right in the treatment room so Dr. Martinez can go over and better explain them to patients.